The Liquor and Cannabis board approved a recreational marijuana business last week for a space at Twelve Trees Business Park in North Kitsap. The new producer/processor is called Sound Extracts. It’s the twelfth marijuana production company licensed in the county. Unlike retail licenses, there is no cap on the number of producer and processor licenses the state will approve. 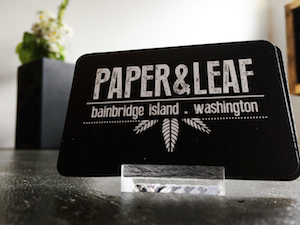 A “Legal Marijuana Superstore” will become Port Orchard’s fourth recreational pot outlet. The state Liquor and Cannabis Board approved the retailer Dec. 30. The store is located at 3610 Bethel Road SE. A representative at Legal Marijuana Superstore said the company was still completing the buildout of its space and expected to open in about a month. Legal Marijuana Superstore joins a cluster of retailers already established along the Bethel Corridor. Greenway Marijuana, Pot Zone (formerly Crockpot) and 420 Spot Shop all operate in the area. Kitsap saw its first drop in legal marijuana sales in November. The state has yet to release sales figures for December. 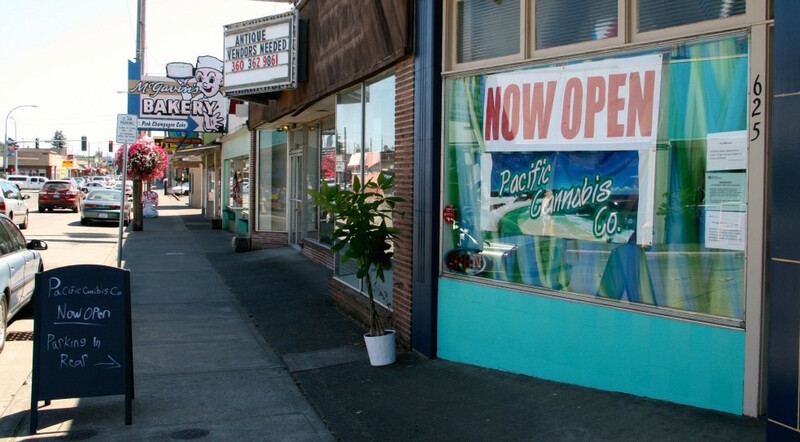 A recreational marijuana retailer approved by the state last week will be the third to open in Bremerton and the second on Callow Avenue. The new store is called The Reef. It’s located at 1107 N Callow Ave., Suite C, near the 7-Eleven. The state Liquor and Cannabis Board approved The Reef’s retailer license Friday. 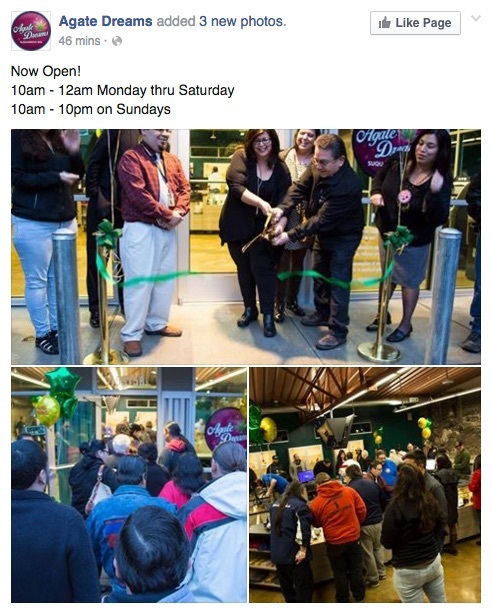 The Reef is the second pot shop to open in West Bremerton. Pacific Cannabis Company debuted at 625 N Callow Ave. in July. The state licensed Destination Hwy 420 in East Bremerton in August. A store called HWY 420 is located on Charleston Beach Road, just outside city limits. 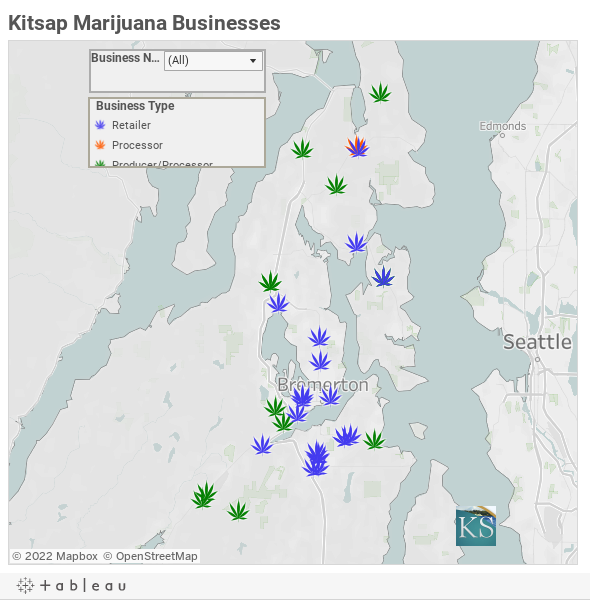 The addition of The Reef brings our count of Kitsap marijuana stores to eight. There are also 10 licensed growers in the county. Expand the map above or click here to see all the locations. The Suquamish Tribe expects to open a marijuana shop on Highway 305 by November.